The exhibition by Louis Kahn will be held at Design Museum London. The American architect Louis Kahn is regarded as one of the great master builders of the Twentieth Century. 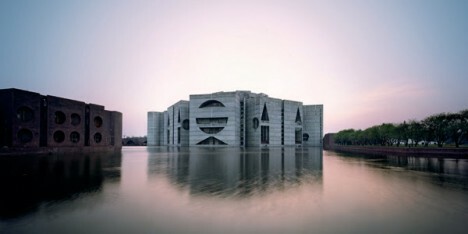 Kahn created buildings of monumental beauty with powerful universal symbolism. This exhibition encompasses an unprecedented and diverse range of architectural models, original drawings, travel sketches, photographs and films. Highlights of the exhibition include a four-metre-high model of the spectacular City Tower designed for Philadelphia (1952-57), as well as previously unseen film footage shot by Kahn’s son Nathaniel Kahn, director of the film ‘My Architect’.